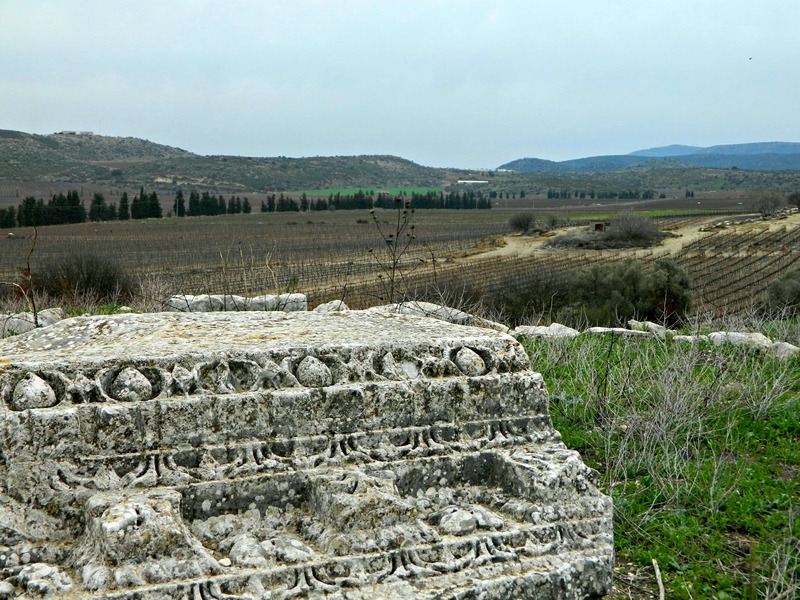 After visiting the Galil Mountain Winery my sister and I got back into the car and stopped off at Tel Kedesh, a site I mentally marked some time back. 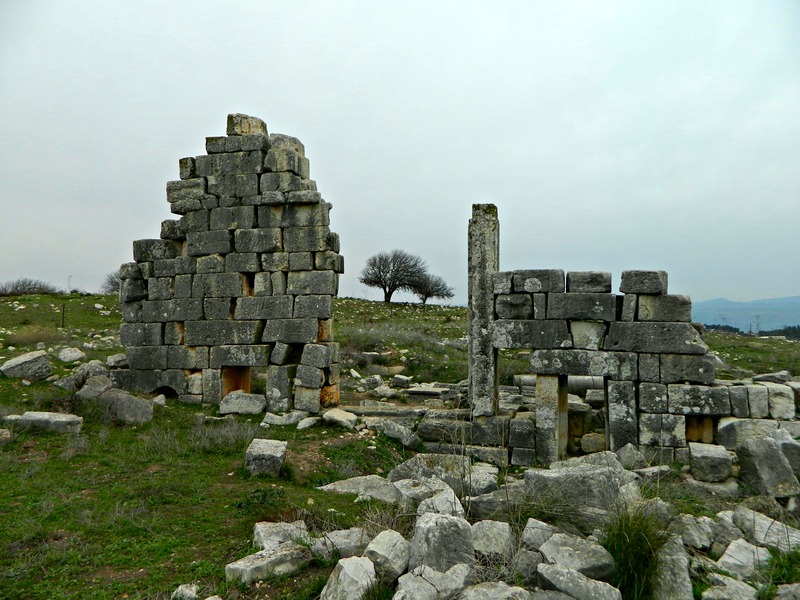 Tel Kedesh is the ruins of an ancient Canaanite village on the Israel-Lebanon border. First documented in the times of Yehoshua (Joshua), the successor of Moshe (Moses) who led the Jewish People into the Holy Land, crossing the River Jordan. 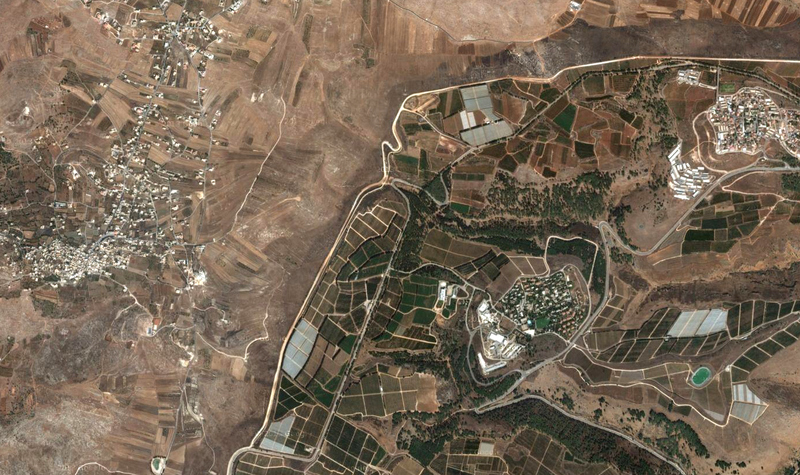 Kedesh is described as a Canaanite citadel conquered by the Jews and placed in the dominion of the tribe of Naftali. 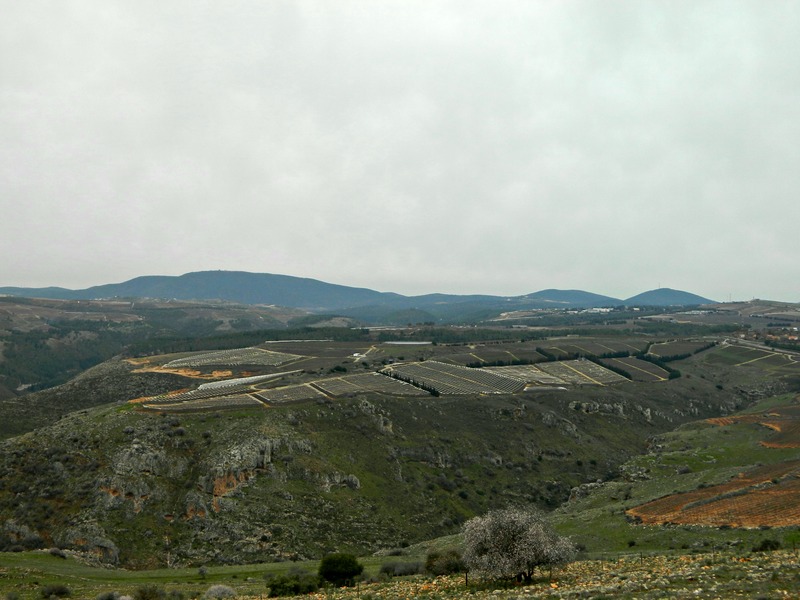 The mountains of the Upper Galilee, where Tel Kedesh is, are called the Naftali Mountains and internationally connected to the Lebanon mountain range from the north. Road 899 cuts through the ancient tell, but the majority of the excavated ruins are to be found on the eastern half, which is where we explored. A small ruins, we first came upon were sarcophagi (stone coffins) and ruins of what once was a mausoleum during the Roman times. 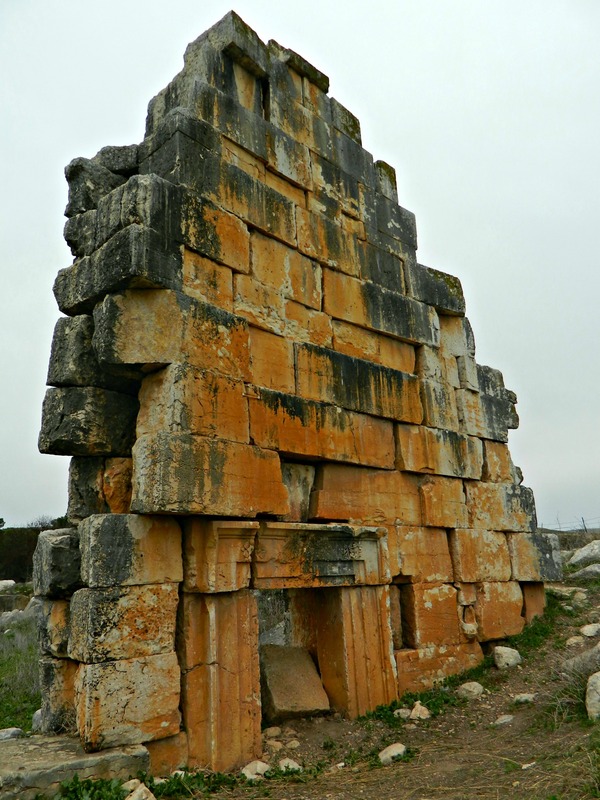 Interestingly enough, the mausoleum survived at least in a partial state until it was thoroughly destroyed by local Arab villagers sometime after 1880. 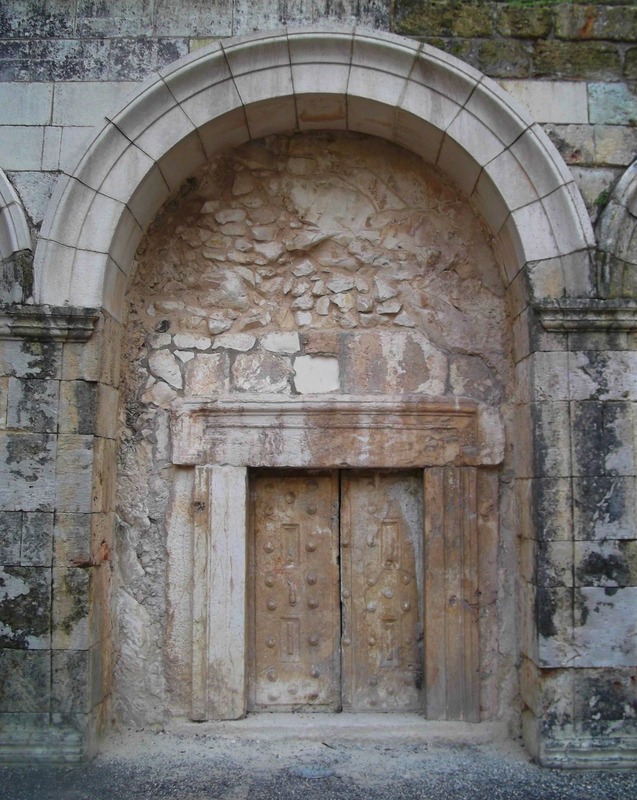 Although ruins from the earlier ages aren’t visible in what we see now visiting the site, Kedesh was mentioned as one of the few “cities of refuge” during the rule of the Israelites, starting with the era of the aforementioned Yehoshua. Later, the Assyrians captured and destroyed Kedesh along with other keys cities in the Galilee, perhaps most notably, Hazor. When I last tried to visit Hazor I was attacked and bitten in the thigh by a dog… One day I shall endeavour to re-visit the ancient site of extraordinary historical importance. 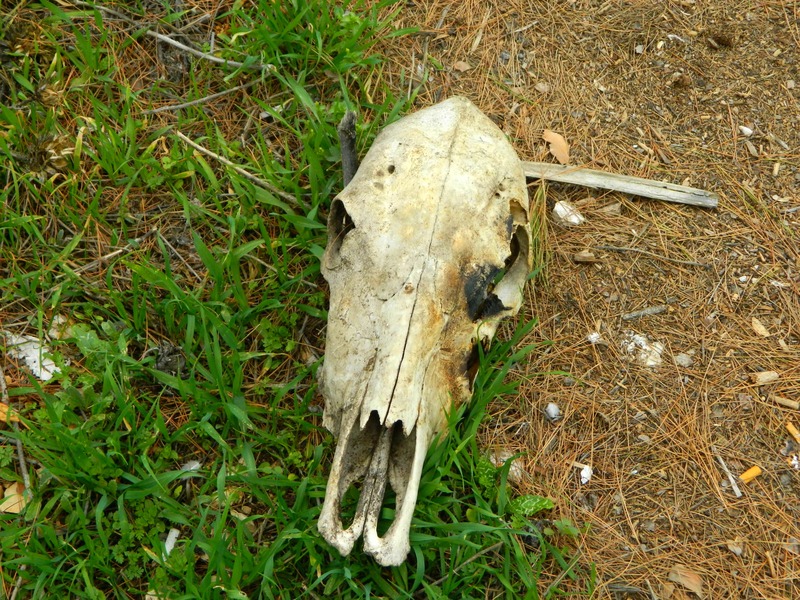 As we were leaving, having explored the eastern half of Tel Kedesh, I noticed this slightly charred cow skull in the grass next to the car. We last found a cow skull years back in the Golan whilst searching for the mysterious ruins of Gilgal Refaim (“Wheel of Spirits”), an ancient megalithic monument composed of circles of stone – and that skull now hangs on the wall next to our backdoor. The next stop on our little trip, the cliff and cable-car of Manara Cliff, further up the Naftali Mountains. Recently I took a day off from my exciting army job and went on a little exploring trip with one of my sisters. We got in the car with some snacks and the camera and off we went, to see a variety of interesting sites in the Upper Galilee area. 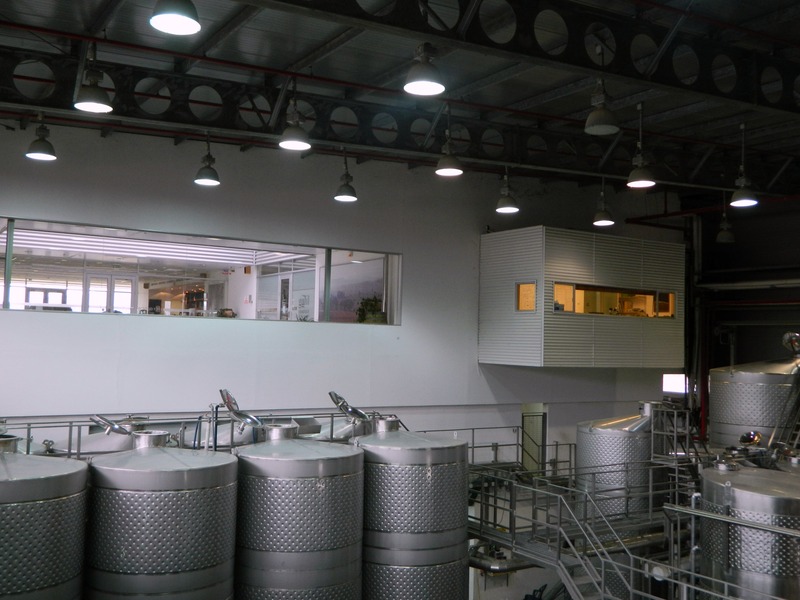 However, our first stop – Galil Mountain Winery – was not in the itinerary but being spontaneous is also fun so we parked the car and went on inside to see some larger-scale wine production (unlike the boutique production of the Saslove Winery). Friendly faces greeted us and before long we handed over some coins and began our tour. Starting with the balcony overlooking rows and rows of grapevines, we then moved over to the front of the building where the freshly picked grapes are fed into the hopper which takes grapes and all into the winery for production, filtering out leaves and vines. 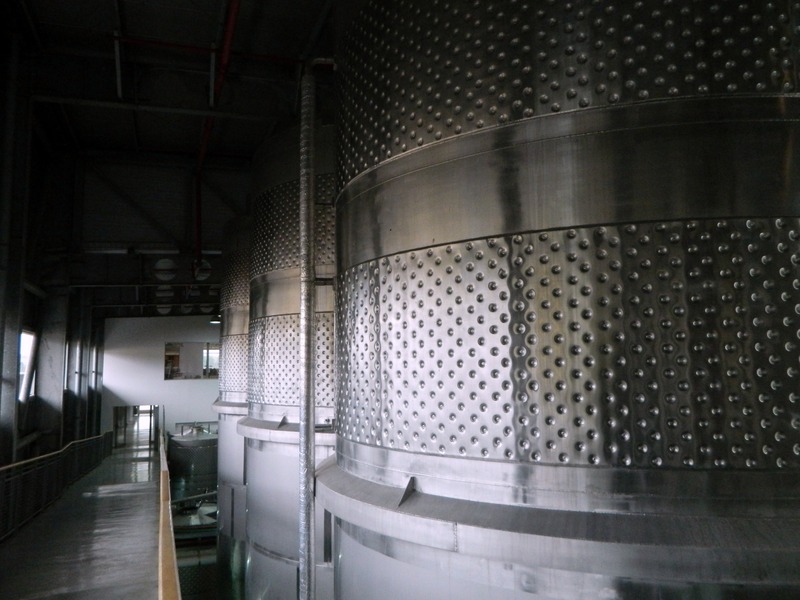 Our guide then took us into the production plant where numerous stainless steel drums, vats and pipes turn the mulched grape into a fragrant alcoholic beverage. 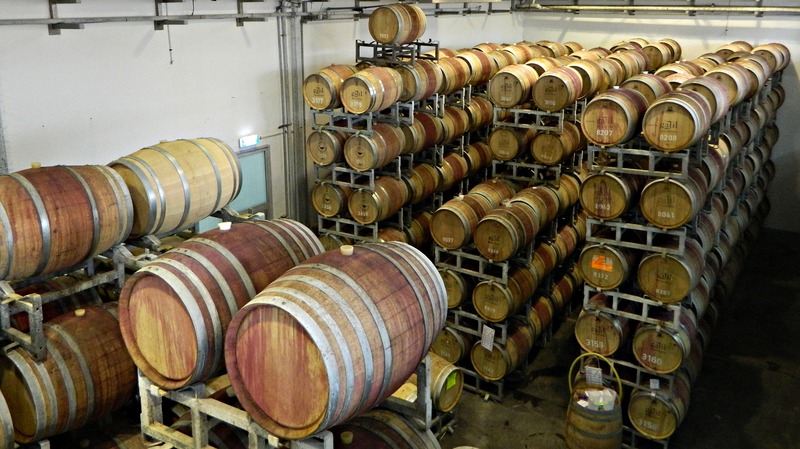 Since we made wine twice in our basement back in America, we knew the answers to some of the tricky questions she asked about wine production. And here is another shot of the production room, looking at the windows of the visitors centre and some office protrusion. 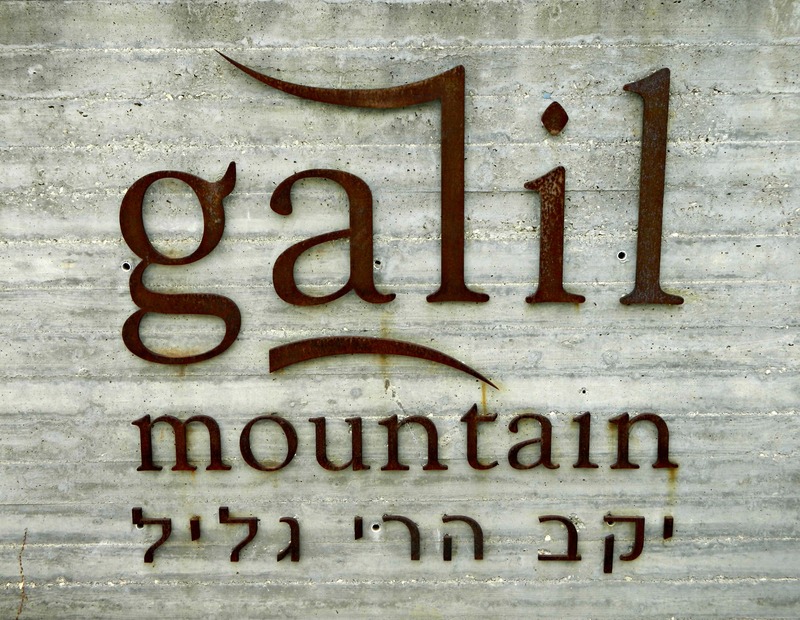 Looping around, we returned to the visitors centre and sat down to watch a short film about the Galil Mountain Winery. Founded in 2000, the winery is jointly owned by Kibbutz Yir’on and the Golan Heights Winery (33% and 67%, respectively). 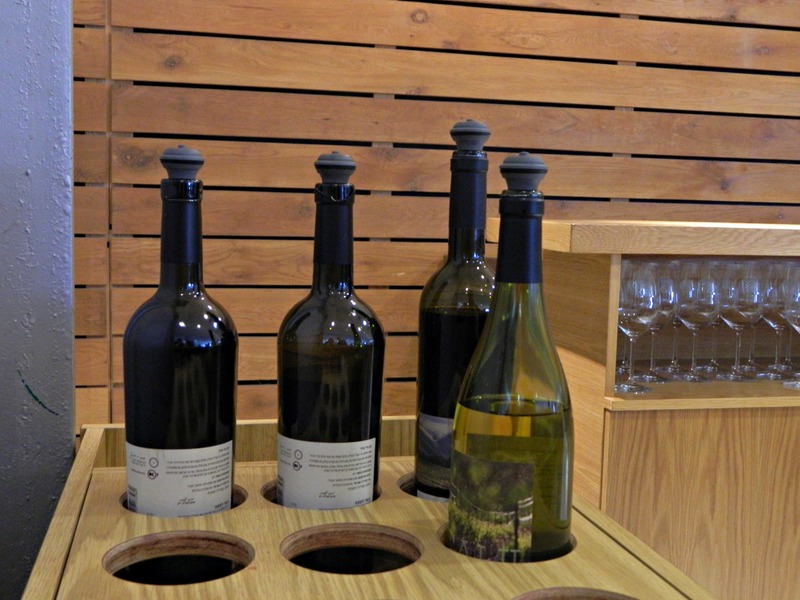 The winery, with vineyards scattered around the Upper Galilee area, produces over one million bottles of wine annually, offering some fourteen blends and varieties. After the video presentation our guide took us into the tasting room where she handed us the wine list and prepared three wines for us to try. Our first sampling was the Galil Viognier from the local Yiron Vineyard. 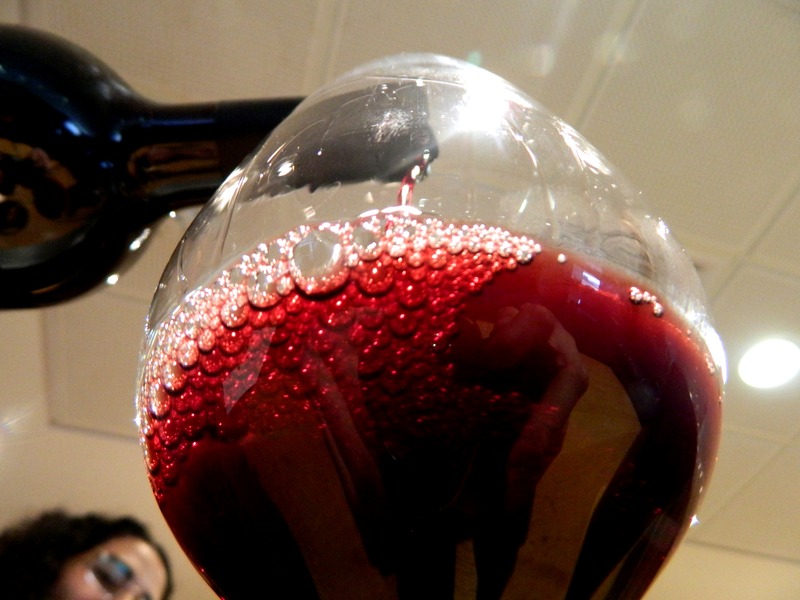 I had just a small sip, as I’m driving, and we all spoke about the white wine – highfalutin talks about nose and palette. Next, the Galil Mountain Cabernet Sauvignon, my least favourite of the three. And then, the flagship bottle – Yiron. A blend of Cabernet Sauvignon, Merlot and Petit Verdot, this wine was of heavy body and rich palette with berries and toasted oak – and according to them, a slight hint of butter. When we were done tasting (in my case mere sipping and in my sister’s case downing large quantities of wine – mine and her’s) we bid the Galil Mountain Winery lot “adieu!” and hopped back into the car. Along the road a few minutes later, I took this photo of a vineyard in the low mountains and am attributing it to the aforementioned winery with creative licence. A while ago – before I got all caught up in my weekly photography challenge “52 Frames” – I took a little visit to Bet She’arim, a magical-looking national park in the Jezreel Valley area near Mount Carmel. I’ve passed it so many times, and had no idea what the park was all about, but when I did end up visiting I was in awe of what I’ve been missing all this time. 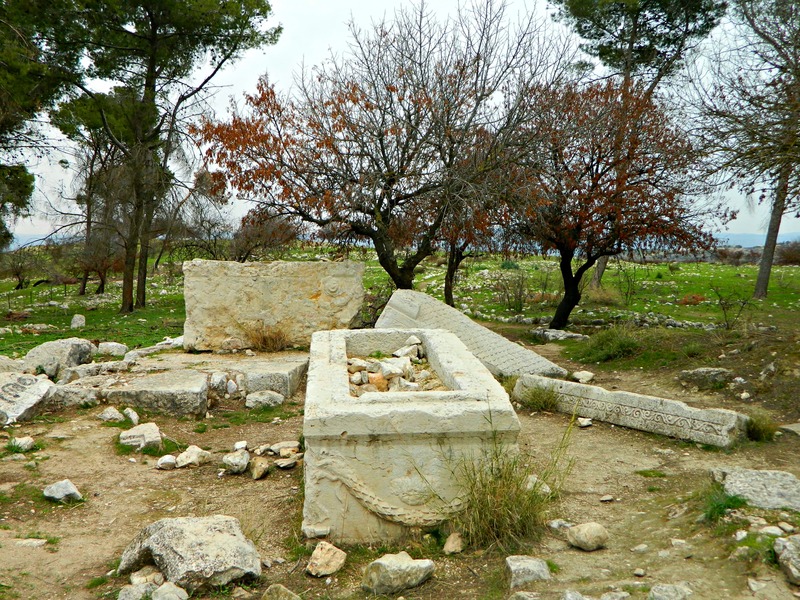 Clearly one of Israel’s most underrated national parks, Bet She’arim is especially notable for the large necropolis (“city of the dead”) dug out of the limestone bedrock. Starting off at the trailhead near the visitor centre, the first few burial caves were all underground, the entrance dug deep even before the cave was created. With the ancient city ruins of Bet She’arim just a little up the hill, this is where the Jewish inhabitants buried their dead some 2,000 years ago. 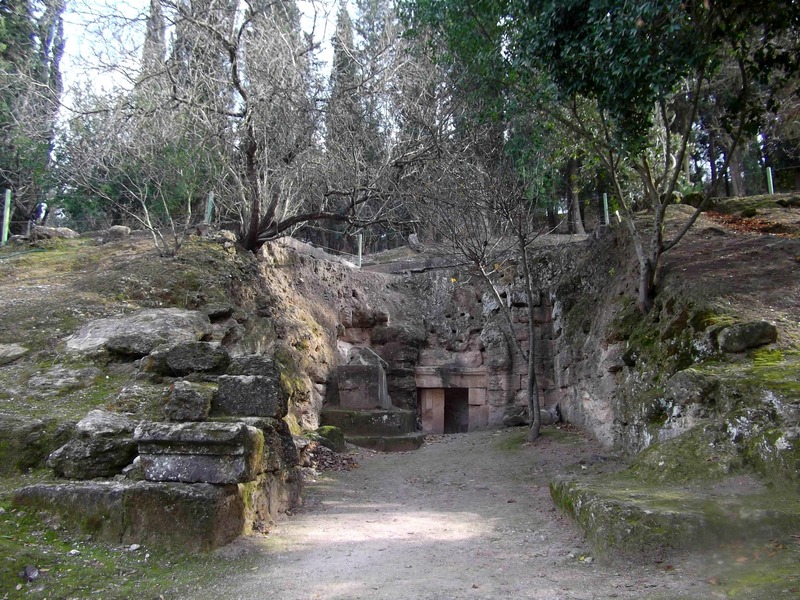 These are relatively small caves with burial slots, belonging to dignitaries such as the “Head of the Sidonian Synagogue” – albeit not open for visitors. Some of the caves have been ransacked by grave robbers, some still not opened. 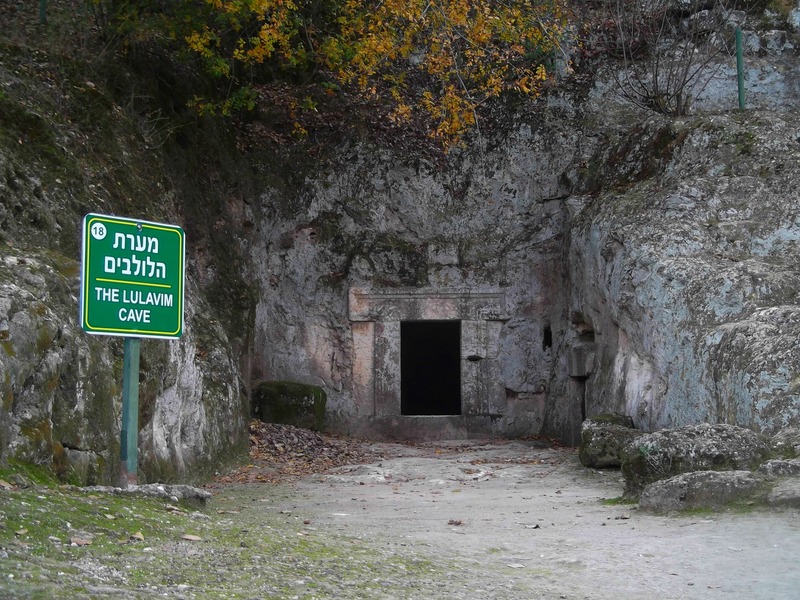 Passing cisterns and “bleachers” carved out of the bedrock, I came upon the “Unexcavated Cave”, “Sarah’s Cave” and the “Cave of the Lulavim (Palm Branches)” – the first cave I was allowed to properly enter. 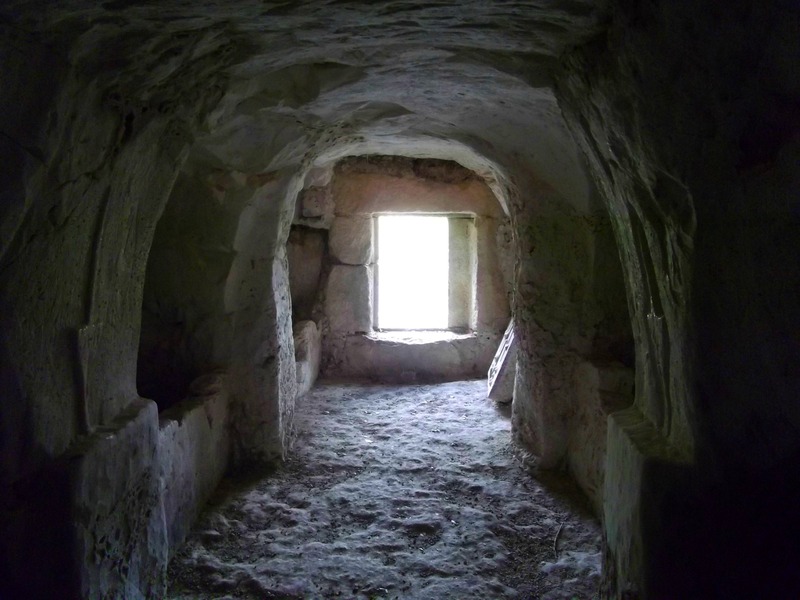 Inside, I found chambers with burial spots dug out of the rock, as seen in the ancient catacombs of Avdat and Cafarlet. 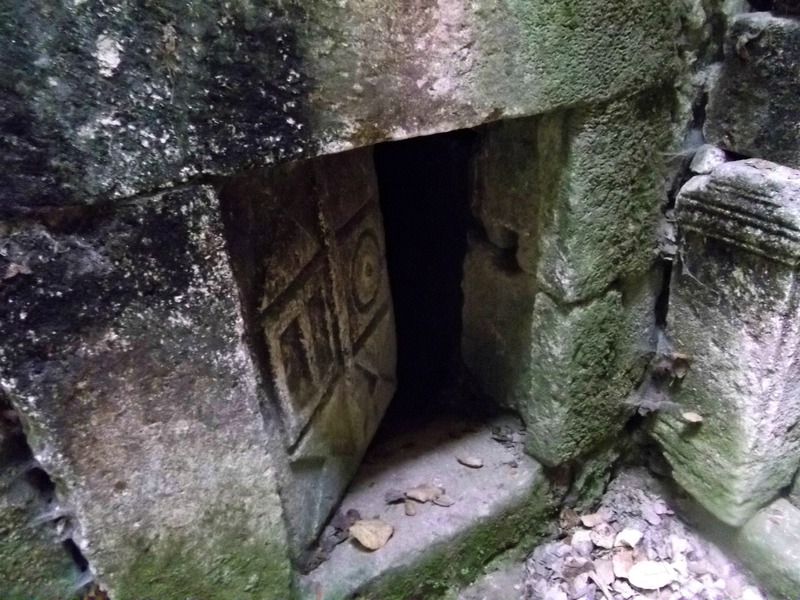 The burial cave’s heavy stone door is propped up to the side, off its hinges. 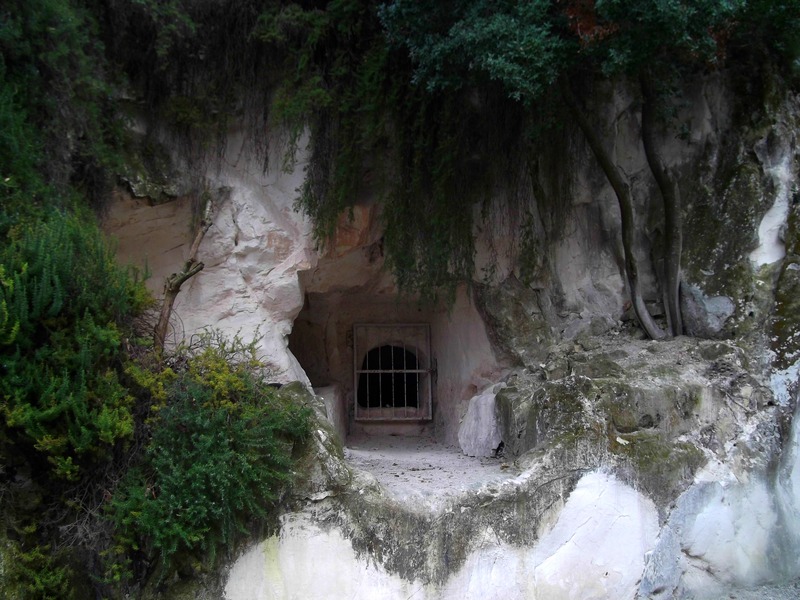 Next there were larger caves, belonging to a variety of personages – from the caves of “Loved One” and the “Cloth Merchant” (named Benjamin son of Julius) to the “vault of Edysius, head of the Council of Elders, a man of Antioch”. Since Jews were forbidden at the time to be buried in Jerusalem, due to oppressive Roman rule, Bet She’arim became the new best place to be laid to rest. 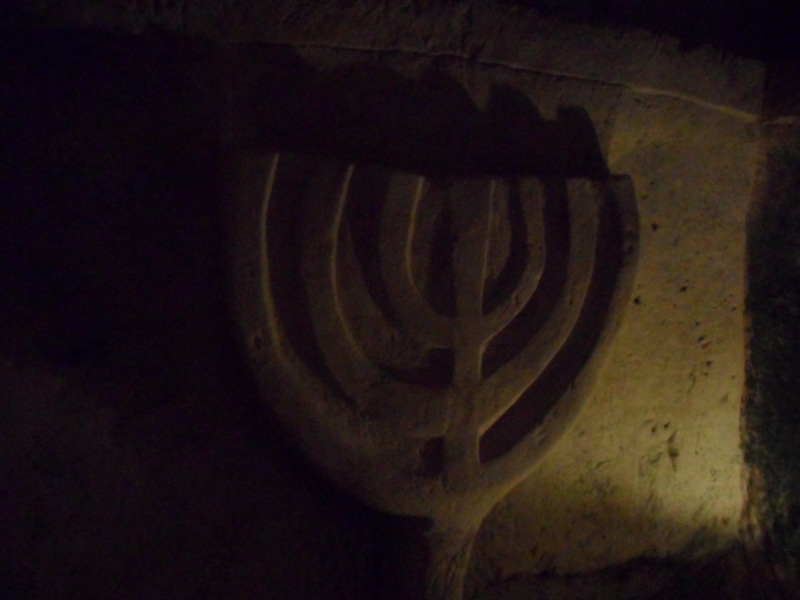 Jews from all over the known world came to be entombed in their special caves, the inscriptions written in a variety of languages from Greek to Aramaic and, of course, Hebrew. Rabbi Yehuda HaNassi is one of the great leaders of the Jewish People, the “Prince” of the Jews still living in the Holy Land during Roman occupation some 1,800 years ago, just after the death of another renowned leader, Rabbi Akiva. A descendant of King David, Rabbi Yehuda HaNassi took it upon himself to preserve the Oral Law and write down the basics in the form of the Mishnah – the foundation of Jewish Law today. The Sanhedrin (Jewish supreme council) moved around during the tumultuous times following the destruction of the Second Temple in Jerusalem and found itself in Bet She’arim, with Rabbi Yehuda HaNassi at the head of the council. Towards the end of his life, Rabbi Yehuda HaNassi (and the Sanhedrin) moved to Tzippori (Sepphoris) but he always planned on being buried back in Bet She’arim, on land gifted to him by his friend, the Roman Emperor Marcus Aurelius, the last of the “Five Good Emperors”. 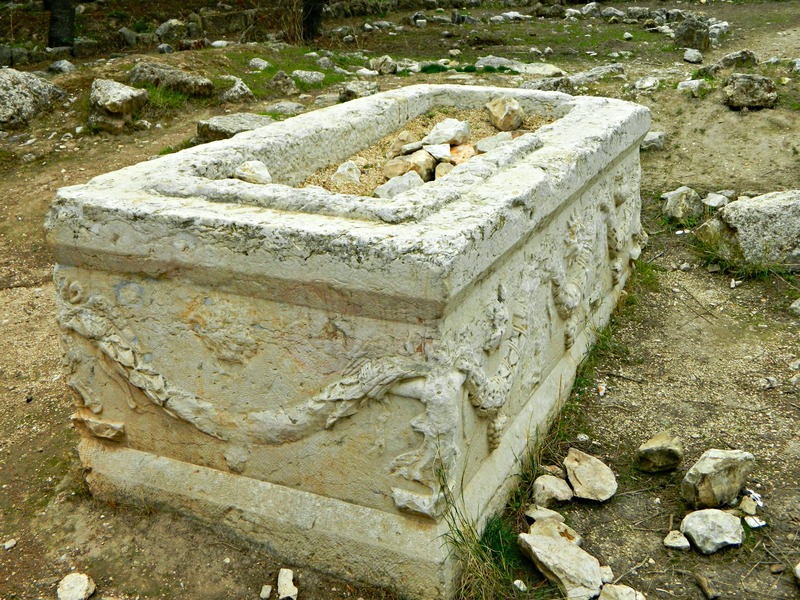 However, Rabbi Yehuda HaNassi specifically requested that he be interred in the ground itself and not in a sarcophagus. 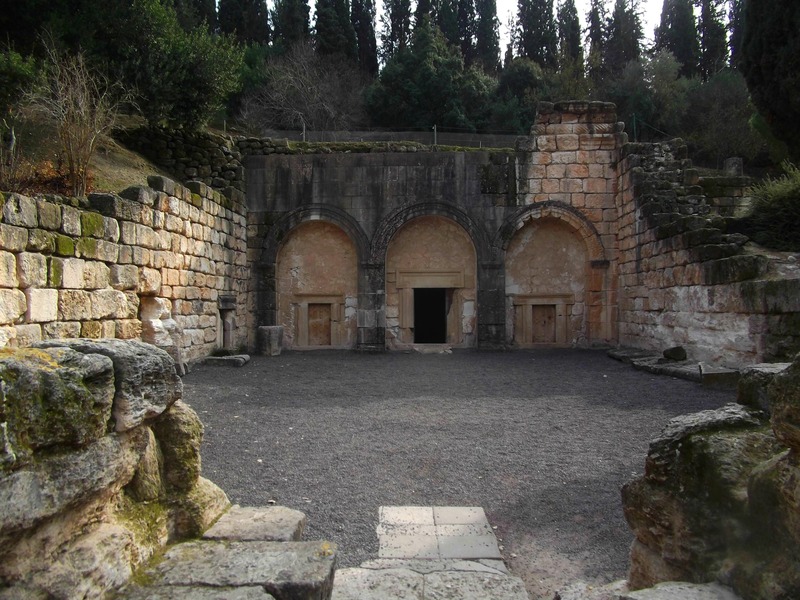 Other Jewish notables were buried in the multi-chambered catacomb, including his two sons, Rabbi Gamliel and Rabbi Shimon, and also Rabbi Chanina the Lesser. 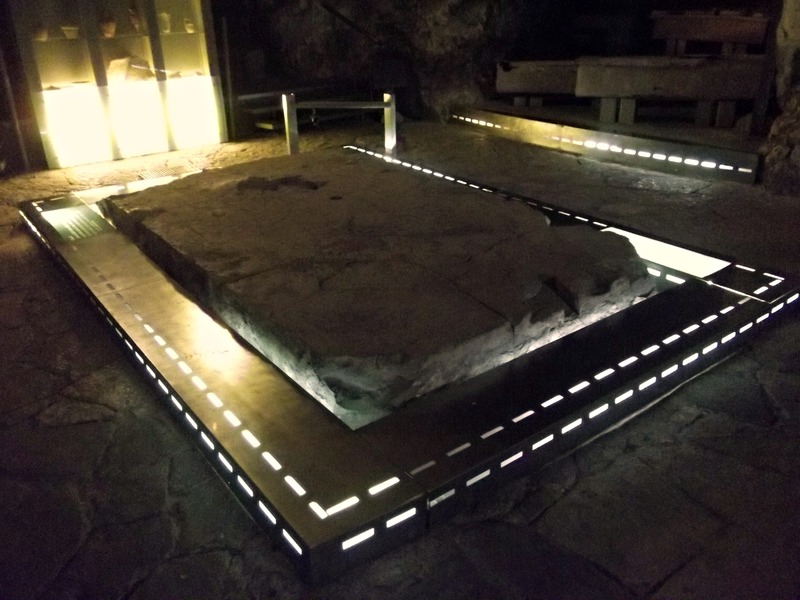 However grand Rabbi Yehuda HaNassi’s Roman-sponsored catacomb is, the neighbouring “Cave of the Coffins” remains the largest and most magnificent underground tomb at Bet She’arim. Spanning 75 metres (246 ft) in both length and width, with corridors leading off to numerous chambers, the “Cave of the Coffins” is enormous. 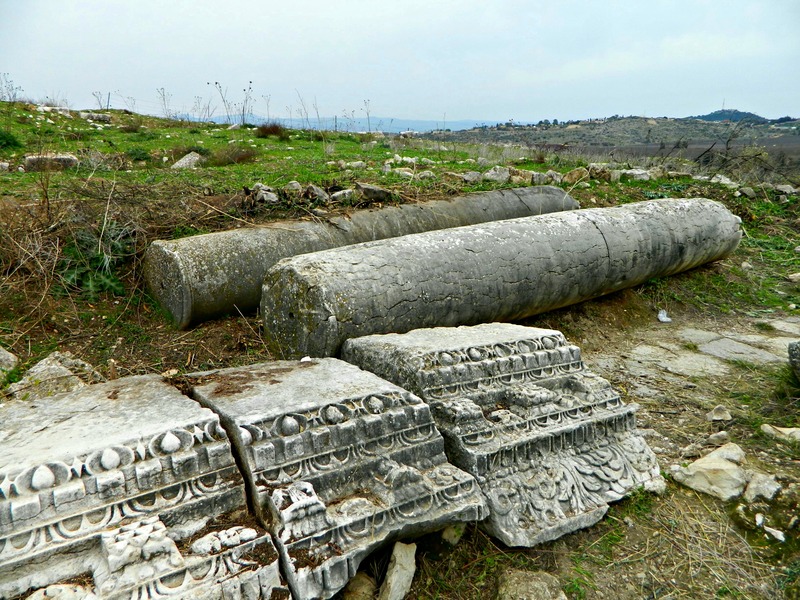 In all the rooms, some 135 coffins were found – many notable sarcophagi with relief markings of birds, bull heads, lions, fish, the iconic Jewish menorah and surprisingly, the figures of Nike – a Greek goddess. When I entered the cool underground tomb, I was flabbergasted at how big it was; how long did it take the builders to create it? 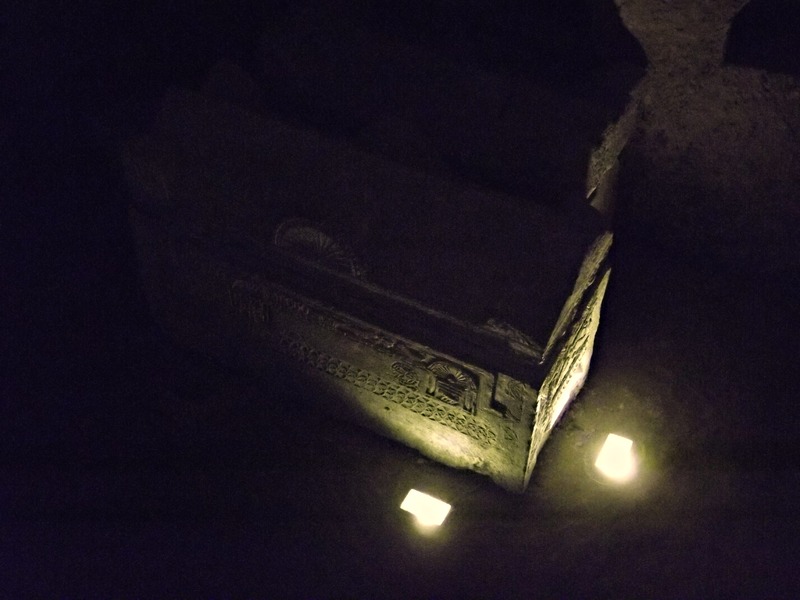 Small lights here and there illuminated key locations in the tomb, and in one room I found a ladder that took me up to a small window, light streaming in to show me the masses of painstakingly carved stone sarcophagi. The sheer number of coffins with and without their stone lids was absolutely astounding – I just wonder where all the skeletons are now… Since I couldn’t really capture the location on camera, being dark and all, I can only go on raving about it and hope that you too one day shall visit Bet She’arim for yourself. The last stop after exiting the incredible “Cave of the Coffins” was the local museum. Built inside a large cistern that was turned into a glass workshop by the workers back then. With a collection of artefacts from the time, including coins and tin coffins, the museum’s centrepiece is a huge block of glass laying on the floor. Discovered by a bulldozer in 1956, the 9-ton slab was eventually studied and determined as poor quality glass made locally by artisans who cooked the huge batch of raw material at the approximate temperature of 1,900°F (1,050°C) for between five and ten days. When the glass slab didn’t turn out as they pleased, they left it for the bulldozer to find. With that I wrapped up my little tour of Bet She’arim’s amazing necropolis saving the ruins of the ancient city nearby for a later date, whenever that may be.